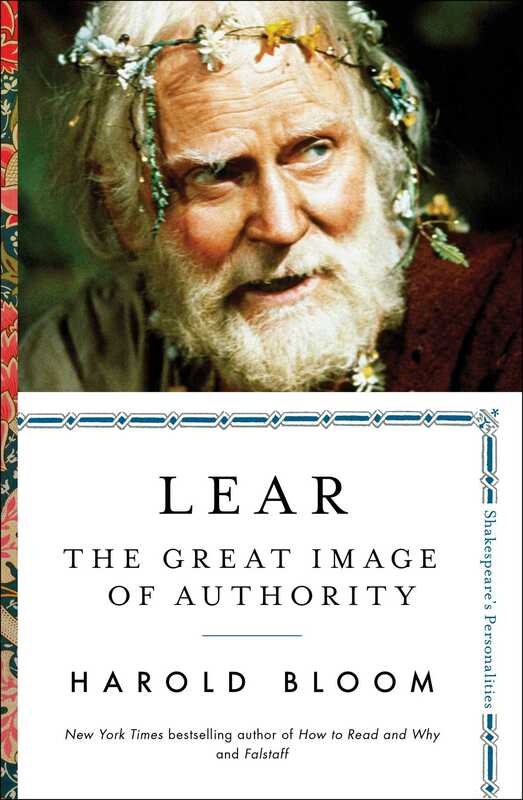 Lear: The Great Image of Authority is the third in a sequence of five brief volumes on “Shakespeare’s Personalities.” The first and second, Falstaff: Give Me Life and Cleopatra: I Am Fire and Air, were published in April and October 2017. The fourth and fifth, Iago: The Strategies of Evil and Macbeth: A Dagger of the Mind, will be published in May and November 2018. Harold Bloom, the greatest Shakespeare scholar of our time, presents an intimate, wise, deeply compelling portrait of King Lear—the third in his series of five short books about the great playwright’s most significant personalities, hailed as Bloom’s “last love letter to the shaping spirit of his imagination” on the front page of The New York Times Book Review. King Lear is perhaps the most poignant character in literature. The aged, abused monarch—a man in his eighties, like Harold Bloom himself—is at once the consummate figure of authority and the classic example of the fall from majesty. He is widely agreed to be William Shakespeare’s most moving, tragic hero. Award-winning writer and beloved professor Harold Bloom writes about Lear with wisdom, joy, exuberance, and compassion. He also explores his own personal relationship to the character: Just as we encounter one Emma Bovary or Hamlet when we are seventeen and another when we are forty, Bloom writes about his shifting understanding—over the course of his own lifetime—of Lear, so that this book also explores an extraordinarily moving argument for literature as a path to and a measure of our humanity. Bloom is mesmerizing in the classroom, wrestling with the often tragic choices Shakespeare’s characters make. He delivers that kind of exhilarating intimacy, pathos, and clarity in Lear.